Social giants Facebook have begun to cull the amount of Facebook false likes that appear on pages following an increase in their “automated efforts” to get rid of the fakers. They say that this will, on average, mean a 1% drop in likes for pages overall. Facebook False likes can be generated in a number of ways, including through malware, hacked accounts or the bulk-buying of purchased likes. 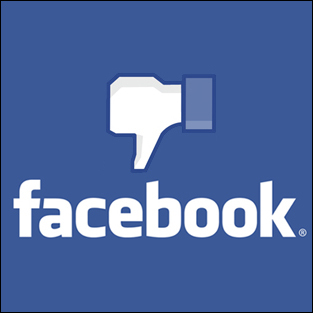 Facebook don’t endorse the latter and say they have never permitted the purchase or sale of likes on the site. Bulk-buying likes means that page owners are often not buying an authentic fan, but rather likes gained through the above methods or fake profiles. Facebook recommend that all users protect themselves by being more aware of suspicious links and to visit their ‘hacked’ page in order to check that an account hasn’t been compromised. In other news from the world’s biggest social network, Facebook has denied that old private messages are showing up on Timelines as part of a glitch, after complaints from users who have claimed that PMs of up to 3-years-old are showing up. The social media site claimed that this was an impossibility, due to the way that private and public messages are stored. “A small number of users raised concerns after what they mistakenly believed to be private messages appeared on their Timeline. Our engineers investigated these reports and found that the messages were older wall posts that had always been visible on the users’ profile pages. Facebook is satisfied that there has been no breach of user privacy,” a spokesman for the company told the Telegraph. As you may have heard this week, the creator of Harry Potter, JK Rowling, has brought out her first adult piece of fiction. However, it seems those US users who pre-ordered the book as an eBook will have to wait a while longer to read it, as it’s unreadable in that format. The Casual Vacancy, as the book is called, suffered a formatting problem which made the text either too small to read or enormous. A fixed version has been released by publisher Hatchette, but this is for those who purchased the book from Thursday onwards. “As soon as Hachette was made aware of these issue, a replacement file was uploaded to all ebook retailers,” the publisher said. “Hachette has requested each retailer contact their customers directly about reloading their ebook. Little Brown, the UK publisher of the novel has confirmed that UK customers have not been affected. Windows 8 may end up running more Android apps than ones designed specifically for Microsoft, thanks to a deal with the makers of AMD processors and software company BlueStack, who will design chips optimised to run Android for the OS. This will be good news for fans of AMD, who will also optimise their graphics cards to run Android, as Intel have dominated the chip market in recent years and of course, Surface is set to run on either Intel or ARM-based processors. The apps will be available through the AMD AppZone Player and any tablets shipped with an AMD processor will include the marketplace. This will allow for better syncing between devices for the millions of people who use Android smartphones and Windows PCs. This can only be good news as the Windows app ecosystem appears to be struggling, with around just 2000 apps available so far as opposed to the 500,000 on Android. However, it could also be seen as a bad thing for Windows, when you take into account the huge rise in mobile malware in recent years, most of which attacks the Android platform. This is due to the submission process at Google and the open nature of Android, which makes it much easier for cybercrooks to place malware infected apps in the store. The incidence of this is growing rapidly and it’s thought that substantial, ongoing earnings are being made from banking trojans, premium-rate scams and other nasties. According to Shareaholic, a social sharing widget and button provider, image-based social site Pinterest is now generating more traffic than Yahoo. This, they say, is based upon figures from their network of more than 200,000 publishers who use their service, reaching 300m people each month. In a blog post, Shareaholic said that this makes Pinterest the fourth largest traffic provider online, beating Yahoo and coming in behind Google, direct traffic and Facebook. Of course, Yahoo has been struggling for quite some time now so this doesn’t come as a huge surprise. Pinterest also beat Bing, StumbleUpon and Twitter for sending more traffic, which is interesting for those with an interest in social media marketing. Whilst Pinterest started off as a small site catering to wedding planners and suchlike, its growth this year has been tremendous, as people have become addicted to pinning and sharing on the site. Will the site eventually knock Facebook of its perch too? Doubtful, as Zuckerberg’s guys are working on bringing out their own search function that is thought to have the potential to rival Google. Last week we brought you the ridiculously funny Psy’s Gangnam, so we thought we’d follow it up this week with a parody featuring The Oregon Duck. This is far from the only parody doing the rounds, as the South Korean track has really taken off and is thought to have the potential to be the first Korean track to reach number one in the UK charts. Other parodies include some Navy guys doing the dance, Cornell University and a My Little Pony version. Seems that Psy has really captured the imaginations of people the world over.